Described below are works that the authors found useful, sprinkled liberally with inspirational reading and viewing for GMs and players of Martial Arts games. 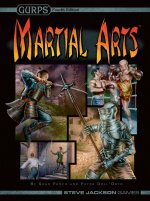 This list is by no means exhaustive – there are thousands of excellent martial-arts books and movies! Amberger, J. Christoph. The Secret History of the Sword (Unique Publications, 1999). This collection of articles on swords and dueling through history is a good resource for those who wish to make sword fights seem more "real." Anglo, Sydney. The Martial Arts of Renaissance Europe (Yale University Press, 2000). Outstanding coverage of the titular subject. Looks at martial arts as they were, not as lesser versions of modern arts. Covers armed, armored, and unarmed combat equally. Capo Ferro, Ridolfo (Jared Kirby, editor). Italian Rapier Combat (Stackpole Books, 2004). A translation of a highly influential rapier manual from 1610, well-illustrated and full of authentic tactics and details. Cuyler, P.L. Sumo: From Rite to Sport (Weatherhill, 1979). Excellent source on Sumo traditions and history. Draeger, Donn F. and Smith, Robert W. Comprehensive Asian Fighting Arts (Kodansha International, 1969). Draeger and Smith recorded everything they could on Asian fighting arts – including styles that have since become nearly extinct. Some material is suspect and a few assertions are unsourced, but the book is truly comprehensive. Get the 1997 reprint, if possible. Fairbairn, W.E. Get Tough! How to Win in Hand-to-Hand Fighting (D. Appleton-Century Co., 1942). No-nonsense, often lethal fighting techniques designed for WWII combat. Reissued by Paladin Press in 1979. Funakoshi, Gichin. Karate-Dō: My Way of Life (Kodansha International, 1981). The autobiography of Funakoshi Gichin, founder of Shōtōkan karate-dō. Green, Thomas A. (editor). Martial Arts of the World: An Encyclopedia (ABC-CLIO, 2001). 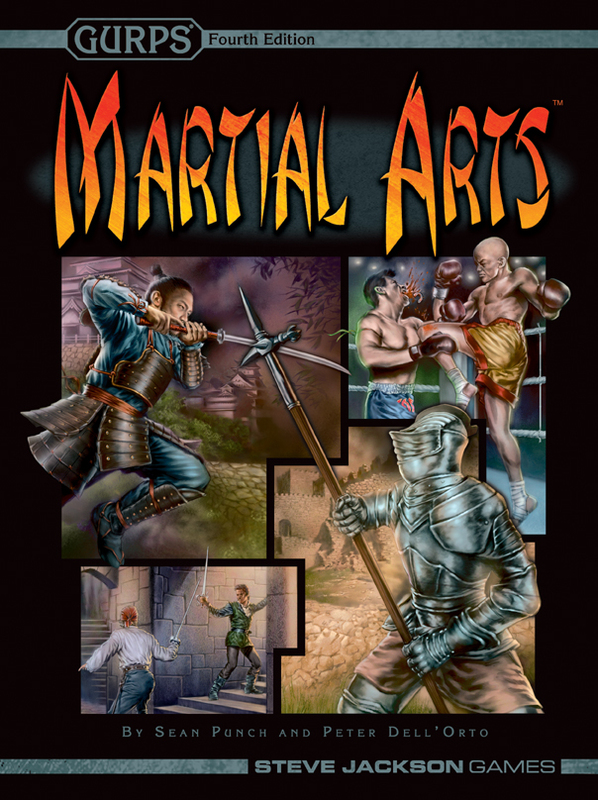 An excellent two-volume martial-arts encyclopedia. It overlooks no major style or geographical location, although some arts get relatively little hard detail. Lee, Bruce (John Little, editor). Bruce Lee Library (Tuttle Publishing, 1997). A seven-volume collection of writings, letters, and notes by Bruce Lee, assembled from his personal library and organized topically. Highly recommended. Lee, Bruce. The Tao of Jeet Kune Do (Ohara Publications, 1975). Bruce Lee's reflections on Jeet Kune Do and martial-arts philosophy. Mol, Serge. Classical Weaponry of Japan (Kodansha International, 2003). An excellent resource on obscure Japanese weapons, with clear pictures and weapon names in kanji as well as English. Musashi, Miyamoto. A Book of Five Rings (The Overlook Press, 1974). A translation of Go Rin No Sho, originally written in 1645. The master swordsman's reflections on swordsmanship are read by many as a philosophy of combat and even business. Oyama, Masutatsu. This is Karate (Japan Publications, 1972). Kyokushin founder Oyama's text on karate and his style. Extremely complete, with lots of "showoff" techniques and practical instruction. Salzman, Mark. Iron & Silk (Vintage, 1987). A Westerner learns kung fu in China. A good look at a modern, cross-cultural master-student relationship. Also made into a movie (dir. Shirley Sun, 1990). Twigger, Robert. Angry White Pajamas (Quill, 1997). A writer takes the Yoshinkan Aikido Tokyo Riot Police course. An excellent account of harsh civilian martial-arts training. Vegetius (M.D. Reeve, editor). Epitoma rei militaris (Oxford University Press, 2004). A translation of the world's most comprehensive treatment of Roman military training and tactics. From its 4th-century publication until the 19th century, it was a powerful influence on the development of Western martial tradition. Also called De Re Militari. Zabinski, Grzegorz, with Walczak, Bartlomiej (translators). Codex Wallerstein (Paladin Press, 2002). A translation of the famous 15th-century sword, dagger, and wrestling manual. Cherryh, C.J. The Paladin (Baen, 1988). A young warrior forces an old master to accept her as his student. An interesting play on the "trained by a master" theme. Gemmell, David. Against the Horde (Ace, 1988). An aging warrior goes to battle one last time. Features a Weapon Master and martial arts-enhancing psi powers. Reissued as Legend in 1997. Murphy, Warren and Sapir, Richard. The Destroyer (1971-present). A long (110+ book) series of trashy adventure novels. Good fun! Chiun's Sinanju is an example of an "ultimate style." Many later novels were penned by William Murray. Published by Pinnacle, followed by Signet, then Gold Eagle, and most recently Tor. Perry, Steven. The Man Who Never Missed (Ace, 1985). This and the other books in the "Matador Series" (Matadora, The Machiavelli Interface, etc.) blend science fiction with cinematic martial arts – including Sumito, an "ultimate style." Zahn, Timothy. The Blackcollar (DAW, 1983). Elite commandos fight a guerilla war against aliens using nunchaku, shuriken, and martial arts. Hama, Larry. Nth Man, the Ultimate Ninja (Marvel, 1989-1990). John Doe, the ultimate ninja, confronts an insane supervillain during World War III and its aftermath. Lots of cinematic ninja action mixed with super-powers and militaria. Koike, Kazuo and Kojima, Goseki. Lone Wolf and Cub (Dark Horse Comics, 2000-2002). A 28-volume comic (originally a Japanese manga) set in Tokugawa Japan. Follows the adventures of samurai-turned-assassin Ogami Itto and his young son, Daiguro. Features almost every samurai trope – and most ninja tropes, too. Miller, Frank and others. Daredevil (Marvel, 1964-present). Daredevil is a blind martial-arts master who contends with ninja and other martial artists, including a supervillain Throwing Art expert. Created by Stan Lee, but look for the Miller-era comics (1979-1982). The spin-off comics and movie are of uneven quality. A television series set in the Marvel Cinematic Universe is slated to debut on Netflix in May 2015. 36th Chamber of Shaolin (Chia-Liang Liu, 1978). This classic Gordon Liu kung fu film has a horrible plot but some of the best Shaolin training sequences ever made. Above the Law (Andrew Davis, 1988). Stars Steven Seagal as a martial-arts trained cop. Plausibly combines gunplay and martial arts in a modern setting. Adventures of Robin Hood, The (Michael Curtiz, 1938). Features a Basil Rathbone vs. Errol Flynn fencing duel, plus cinematic archery! Batman Begins (Christopher Nolan, 2005). This Batman remake features a quest for the master (with an interesting turn), ninja, a revenge quest, and the martial arts – all in a superheroic setting. Big Boss, The (Wei Lo, 1971). A young Chinese martial artist, played by Bruce Lee, fights an oppressive factory boss to avenge his friends. Released in the U.S. as Fists of Fury. Big Trouble in Little China (John Carpenter, 1986). An overconfident trucker gets mixed up with magic and martial arts in San Francisco's Chinatown. First American attempt to create a wuxia film is a mixed bag, but fun. Bruce Lee: A Warrior's Journey (John Little and Bruce Lee, 2000). This documentary on Bruce Lee's life and his unfinished final film, Game of Death, has great footage of Lee in action – both in "cinematic" form and demonstrating his true skills. Chinese Connection, The (Wei Lo, 1972). Confusingly, also known as Fists of Fury – one of two Bruce Lee films released under that name. Lee takes on the Japanese in early 20th-century China. Includes a great sword vs. unarmed fight. Count of Monte Cristo, The (Kevin Reynolds, 2002). Excellent swordplay training sequences (without swords!). Court Jester, The (Melvin Frank, Norman Panama, 1956). Danny Kaye and Basil Rathbone fight one of film's funniest (and best choreographed) duels in this send-up of action/adventure movies. Crouching Tiger, Hidden Dragon (Ang Lee, 2000). Undoubtedly the most internationally successful wuxia film – a breakthrough for the genre. Dirty Ho (Chia-Liang Liu, 1979). Groundbreaking kung fu comedy, with death-touch, proxy fighting, and a gullible thief dragooned into helping a master with a secret. Drunken Master II (Chia-Liang Liu, 1994). Outstanding nonstop action and drunken-style kung fu. Possibly Jackie Chan's best work – although all of his movies should be considered inspirational for comic games! Duellists, The (Ridley Scott, 1977). Two Napoleonic officers are locked in an affaire d'honneur. Features duels with sabers and smallswords, and even one on horseback. Based on a Joseph Conrad story. Enter the Dragon (Robert Clouse, 1973). Bruce Lee's final film, it defined the action genre and introduced many common "action movie" tropes. Lee at his best. Fatal Flying Guillotine, The (Raymond Lui, 1977). Cheesy kung fu action with unlikely weapons, bad acting, and poor dubbing – a must for those running silly campaigns! Gladiator (Ridley Scott, 2000). Stars Russell Crowe as a general-turned-gladiator. Features excellent use of the Teamwork perk in a contender-themed adventure. Hero (Yimou Zhang, 2002). A story of assassination and philosophy – told and retold several times as lies and deceptions are unmasked. Features beautiful wuxia action. Karate Kid, The (John G. Avildsen, 1984). A bullied teen gets tutored in karate by an Okinawan master (played brilliantly by Noriyuki Morita). Slightly dated, but classic and memorable. Kill Bill: Vol. 1 and Vol. 2 (Quentin Tarantino, 2003 and 2004). Tarantino's two-part homage to kung fu, revenge, samurai, and the Hollywood Western. The first volume features a samurai-movie swordfest and a killer schoolgirl; the second features an Ancient Master, cinematic martial-arts training, and a Western-style brawl. Kung Fu Hustle (Stephen Chow, 2004). Young gangster wannabes trigger an escalating war between martial-arts masters. Features over-the-top cartoon kung fu action . . . and dancing. Lady Snowblood (Toshiya Fujita, 1973). A Japanese girl is raised to avenge her slain parents. Gushing blood, swordfighting, and great training sequences. The main character inspired O-Ren Ishii in Kill Bill: Vol. 1. Magnificent Butcher (Sammo Hung Kam-Bo and Woo-ping Yuen, 1979). A fat butcher (played by Sammo Hung) – and student of Wong Fei-Hung – fights rival kung fu experts. A classic example of kung fu played for laughs. Octagon, The (Eric Karson, 1980). A commando (Chuck Norris) takes on a ninja-run terrorist training camp. A must-see for Hollywood-style ninja! Once Upon a Time in China (Hark Tsui, 1991). Features Jet Li as Wong Fei-Hung. This movie and its many sequels (especially the first two) feature great martial-arts action set amidst Chinese nationalism and Western colonialism in late-19th century China. Ong-bak (Prachya Pinkaew, 2003). A Thai villager – and Muay Thai and Krabi Krabong expert – takes on thugs stealing religious artifacts. Cinematic fights full of flying knees and jumping elbow strikes. Princess Bride, The (Rob Reiner, 1980). Cary Elwes, Mandy Patinkin, Chris Sarandon, Christopher Guest. Another send-up of swashbuckler films, famous for the lines: "Hello, my name is Inigo Montoya. You killed my father. Prepare to die." Raging Bull (Martin Scorsese, 1980). This searing look at mid-20th century professional boxing features brutal fight scenes. Required viewing for a contender campaign! Return of the Dragon (Bruce Lee, 1972). Bruce Lee helps Chinese immigrants in 1970s Rome fight gangsters. In the finale, Lee takes on Chuck Norris at the Coliseum. Rocky (John G. Avildsen, 1976). A young boxer (a well-cast Sylvester Stallone) struggles for an unlikely title shot. Great training sequences. The sequels are entertaining but formulaic. Seven Samurai, The (Akira Kurosawa, 1954). Seven ronin help poor villagers defend themselves against bandits. A classic plot and a good example of how to assemble an "adventuring team" of martial artists with diverse experience and backgrounds. Shaolin Soccer (Stephen Chow, 2001). Shaolin monks team up to play soccer using their super-powered kung fu. Over-the-top comic wuxia action. Silent Flute, The (Richard Moore, 1978). A young seeker sets out to defeat a legendary foe, accompanied by a blind, flute-playing master. Bruce Lee collaborated on the writing. Originally released as Circle of Iron. Spartacus (Stanley Kubrick, 1960). A slave is trained as a gladiator before leading a revolt against Rome. Great training sequences, a famous gladiatorial duel, and an inspiring transition from a contender theme to a mix of a quest and a war story. Swordsman II (Siu-Tung Ching and Stanley Tong, 1991). In this magic-heavy wuxia story, a powerful warlord emasculates himself to achieve mystical powers. The heroes must use their own cinematic skills to stop him. Tai-Chi Master, The (Woo-ping Yuen, 1993). Two exiled Shaolin monks (played by Jet Li and Siu-hou Chin) take different paths – one becoming a rebel, one a government general. Superb kung fu action. Also known as Twin Warriors. Three Musketeers, The (Richard Lester, 1973). This film and its sequel, The Four Musketeers (1974), feature excellent swashbuckling action and swordfighting. Yojimbo (Akira Kurosawa, 1961). A lone ronin (Toshiro Mifune) plays both sides in a battle over a small Japanese town. In addition to fictional works like those below, mixed martial arts tournaments are becoming more common television fare. Cowboy Bebop (Hajime Yatate, 1998). This anime series includes an ex-gangster and bounty hunter who's a Jeet Kune Do expert. The martial-arts action has both style and verisimilitude. Cowboy Bebop: Knockin' On Heaven's Door (2001) has two of the best animated martial-arts scenes ever made. Green Hornet, The (George W. Trendle, 1966-1967). This show is notable mainly as Bruce Lee's first major break in Hollywood: as the Green Hornet's kung fu-using sidekick, Kato. Kung Fu (1972-1975). David Carradine as Kwai Chang Caine, a Chinese monk exiled in the Wild West. A classic, full of "Shaolin wisdom" and kung fu action. Martial Law (Carlton Cuse, 1998-2000). A Chinese cop (Sammo Hung Kam-Bo) uses kung fu to fight crime.